Buy this item and earn 299 ClubPoints. 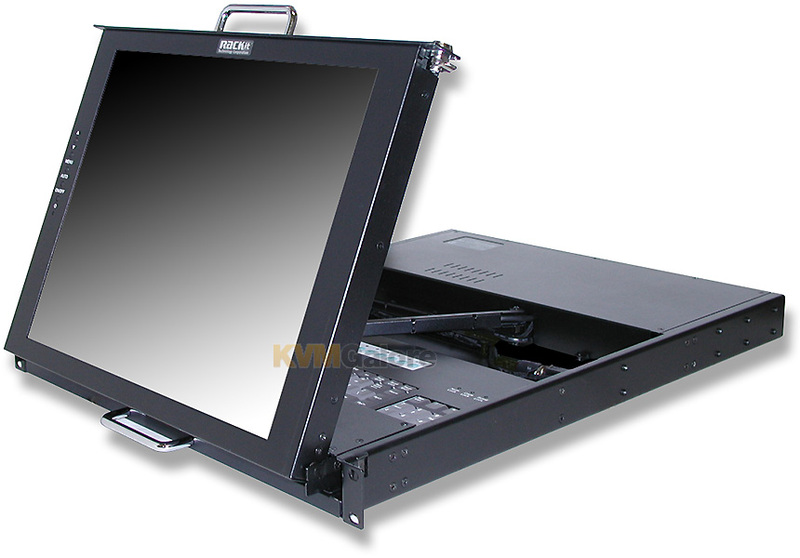 Using only 1U of EIA rack space (1.75" high), Sylphit-Duo-PS2 KVM console drawer is designed for space-saving 19-inch rack-mount applications that require little keyboard/mouse interaction, allowing flush-with-the-rack video monitoring, without protruding out of the rack. 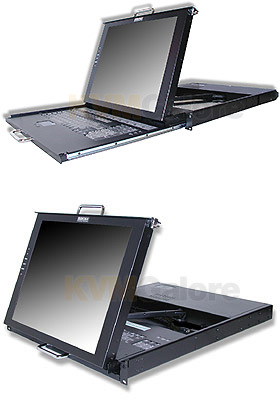 Sylphit-Duo-PS2 KVM console drawer features a separate slide-out drawer for the keyboard and mouse, allowing to have the display folded up an visible while the keyboard/mouse is "tucked in", occupying virtually no aisle space in front of the rack. 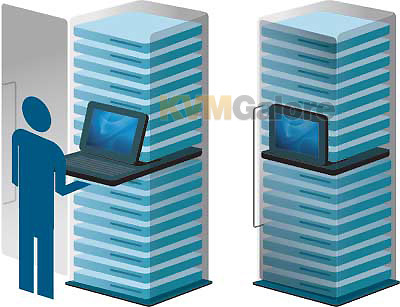 Additionally, Sylphit-Duo-PS2 KVM console drawer's integrated KVM switch lets administrators instantly access and control up to 8 PS/2 servers connected to the console. Sylphit-Duo-PS2 KVM console drawer features a fully functional membrane 105-keys Windows keyboard with a dedicated numeric keypad, an integrated touch-pad pointing device, and an active TFT LCD flat-panel display – protected by anti-glare tempered glass – that can be tilted to adjust to any comfortable viewing angle. 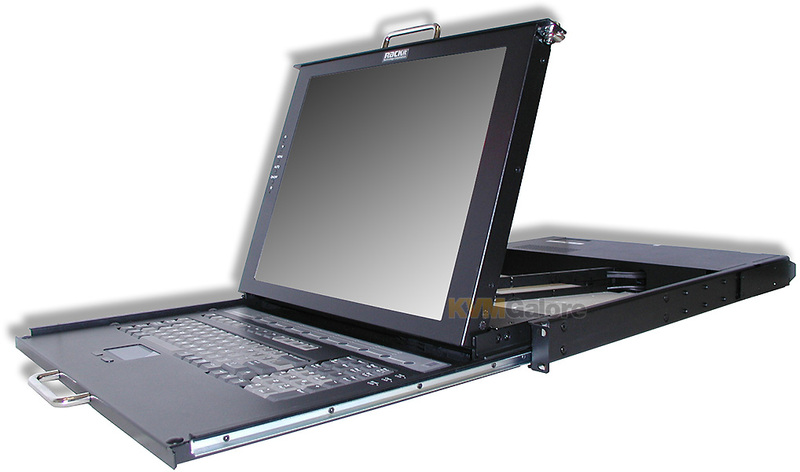 Equipped with two sets of industrial-grade, heavy-duty slide-out rails with depth-adjustable rear mounting support, Sylphit-Duo-PS2 KVM console drawer can be mounted in any standard 19-inch 4-post rack available in the market. 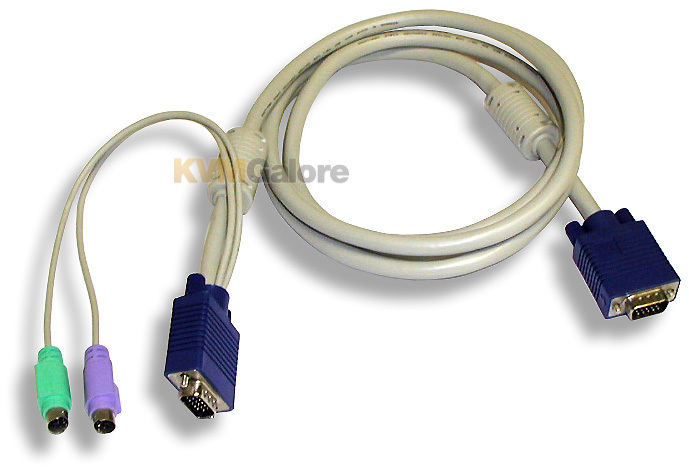 • Two separate slide-out rail sets – one for the flat-panel display, and one for the keyboard/mouse and KVM controls. 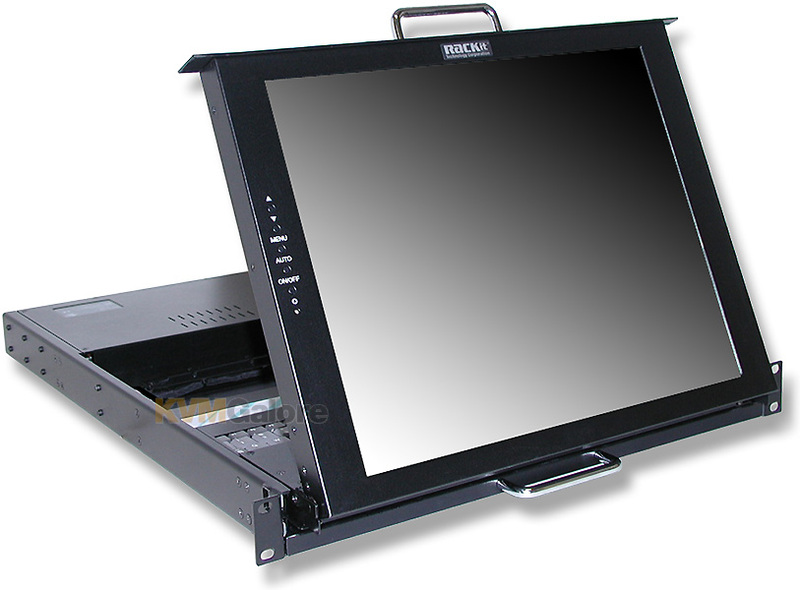 • Laptop-style tilting display can be pulled out separately, folded up for video visibility without occupying any space in front of the rack. • Pulling out the keyboard/mouse drawer makes the display drawer slide out in conjunction. • Only 1U (1.75" high) of 19-inch rack-mount space. • High-brightness and high contrast-ratio active TFT LCD flat panel integrated folding display. • 17" active TFT LCD display, 1280 x 1024 resolution. • Anti-glare tempered glass protects the flat-panel display, adding enhanced visibility. • Full 105-keys Windows membrane keyboard, a dedicated numeric keypad, and an integrated touch-pad pointing device. • Adjustable rear depth mounting support, up to 40½ inches. • Industrial-grade heavy-duty steel construction, with built-in keyed lock, securing both keyboard/mouse drawer and display drawer when folded and pushed all the way in. • Sale of an [SD] product is final. [SD] products cannot be returned.